We harnessed the power of the NITE® no-idle system and combined it with innovative solar energy panels and a high-efficiency fuel-based heater. The result? A groundbreaking climate solution that keeps your work truck cab comfortable without idling your engine, reducing fuel cost, engine wear and environmental impact. 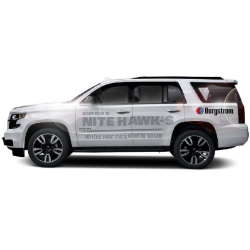 As a global leader in climate systems for the commercial vehicle industry, Bergstrom has taken its Class 8 truck expertise and applied it to the sports utility vehicle market. The NITE Hawk™-S reduces overall operating costs for work truck vehicles by eliminating the need to idle. This decreases fuel consumption and routine engine maintenance while also eliminating exhaust emissions. If you spend long hours in your work vehicle, the NITE Hawk™-S will transform your environment into a comfortable and quiet work climate. Contact Mike Aldred at maldred@bergstrominc.com for more information. The NITE® Phoenix has the highest and longest cooling capacity of any battery-powered no-idle system on the market. As a result, no matter how hot it is outside, it will be cool and comfortable inside your work truck. Features a larger compressor size for greater cooling capacity. Energy-efficient and environmentally friendly. Complies with all idle restriction laws. Utilizes an easy-to-use LCD digital user interface and battery monitoring system. Features eight to ten hours of run time. nearly any vehicle surface and are so durable that they’re virtually indestructible. Supplemental battery charging significantly extends system run time. Provides ongoing conditioning of the batteries, which improves battery life. Available in shapes and sizes to suit any surface. Extends power availability without engine idling. vehicle. It efficiently sips your truck’s fuel and uses battery energy to produce a warm environment in even the most extreme cold conditions. Automatically regulates heat through multiple heat levels. Operates with low fuel and power consumption. Compact size enables simple installation and eliminates electrical plug-ins. No more cold starts, this system provides instant heating and defrosting. 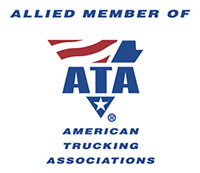 EPA verified/CARB compliant for use anywhere in North America.